If you are looking for a low maintenance plant that tolerates moderate to light traffic, look no further than growing a mazus (Mazus reptans) lawn. In what areas can you use mazus as a lawn substitute and how do you take care of mazus lawns? Read on to learn more. Why Choose Mazus as a Lawn Substitute? Lawn substitutes are chosen for a variety of reasons. Perhaps you are just sick and tired of all the work it takes to maintain a lawn that rivals the Jones.’ Maybe the amount of weeding required between lawn and pavers has given you the blues. Perhaps, you would just like to enliven an area. Remodel a bit. Certainly the added benefit of mazus lawn alternative is that it is a seasonal prolific bloomer. 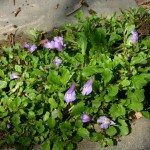 From spring through summer, your Mazus reptans lawn replacement will speckle the groundcover foliage with tiny clusters of bluish-purple flowers with white and yellow centers. This little creeper also comes in white, but both bloom colors have foliage of narrow leaves with rooting stems that fuse together to form a sort of “carpet” of rich green. Mazus can be used as a lawn substitute or is charming amongst pavers, flagstones, rock gardens and pathways. The plants grow very low (2-6 inches in height) with a compact habit and a spread of between 6-12 inches. Mazus reptans is native to the Himalayas, a less than hospitable environment. As such, it is an adequate perennial for USDA zones 3-9. Mazus can be grown in full sun to part shade in well-draining soil, although it will tolerate low fertility. Propagate via division or separation. Divide the plants in the fall or spring every 3-4 years to manage their rampant spread and maintain vitality in the growing mazus lawn. The care of mazus lawns is minimal. Keep the plants moist, although don’t fuss over them. They can take a little drying out. 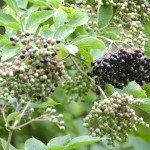 While not entirely necessary, you can pamper your plants with a bit of 20-20-20 fertilizer to promote growth and blooming. You can mow the stand of mazus, or not, and if you want to keep everything tidy, edging around the mazus lawn is wise. In short order, you will have a lovely, completely carpeted former turf area dotted with white or purple-blue blooms. Read more articles about Mazus Lawn.